Website encryption – https if you must – is the secure layer that quietly exists between your website and your visitors. 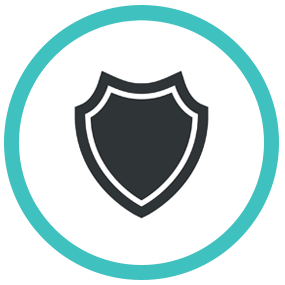 A SSL certificate (a purchasable data file), when installed on a web server, establishes this secure connection. For most users, our awareness and experience of encryption extends to areas like banking, bill-paying and, of course, shopping. The padlock device displayed in browser bars (and, for the more eagle-eyed, the consequent ‘s’ of the neighbouring ‘https’) assures us we’re transacting securely. But increasingly the web is moving towards encryption as standard. That means site-owners need to be ready for the change. Here’s a run-down of what you need to know about the growing push to a more secure web, and the benefits this increased security will deliver for your organisation. First up – why does it matter? As the web shifts towards default encryption, big players like Chrome and Firefox are ramping up insecure-site warnings. Subtle browser-bar symbols are being replaced with plain-sight, attention-grabbing Not secure warnings. With on-page flags like these imposing themselves on general searches – crucially, beyond credit card transacting, where you’d expect to see them – user concerns will begin to rise. That means turn-offs like lack of trust and uncertainty about security will become factors affecting all browsing. For sites flagged up as insecure, the result could be significant damage to brand, engagement, sales and site visits. So no organisation can afford to be left behind. Insecure sites risk damage to brand, engagement, sales and visits. No organisation can afford to be left behind. Here at Hookson we can smooth your route to a secure site, and to the benefits summarised below. Make the move to encryption-as-standard and search engines, including Google, can improve your ranking. Just like the provision of high-quality content, encryption is one ‘signal’ – one criterion – search engines look for when ranking pages. For engines like Google, a secure web is an ideal web. That’s because fewer risks, rising trust and reduced fraud only add to numbers of web users. And that in turn adds to the number of Google users. Search engines, therefore, are keen to reward those site-owners doing their bit for safer browsing. And one way they say thanks is by improving your ranking. Most organisations are dealing with sensitive data 24/7. Across business, education and the public sector, information security should be a number-one priority. Encryption mitigates risk. But default encryption takes that mitigation a step further. Mistakes are costly – of serious concern to those whose data has been compromised, and often catastrophic for the organisation concerned. Encryption mitigates risk. But default encryption takes that mitigation a step further, demonstrating responsibility and fostering trust. Wi-Fi connections are often the weak link in your website’s security. As use of, and reliance on, Wi-Fi provision expands, so too do the risks of attacks from hackers. Encryption-as-standard makes assaults on your site and, by extension, your users, significantly more difficult to achieve. By ensuring your website enjoys robust, dependable encryption – all ready to attract and retain your visitors. With up-to-the-minute know-how, our team will quickly enable strong encryption-as-standard for your site. The result will be a seamless shift to a secure space your visitors will trust. 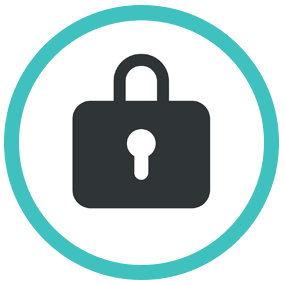 If you’d like to speak with Hookson about encryption for your website, let’s talk – we’re ready to get started. As Hookson's Digital Director Marc has a deep love for new technology and gadgets. Marc is passionate about creating websites that are firmly focused on the end user, ensuring that technology is used to engage the user and improve the experience rather than simply for its own sake. Thanks to his 4 year old son he can now name even the most obscure dinosaurs, while forgetting everything else.